Cool Tool! 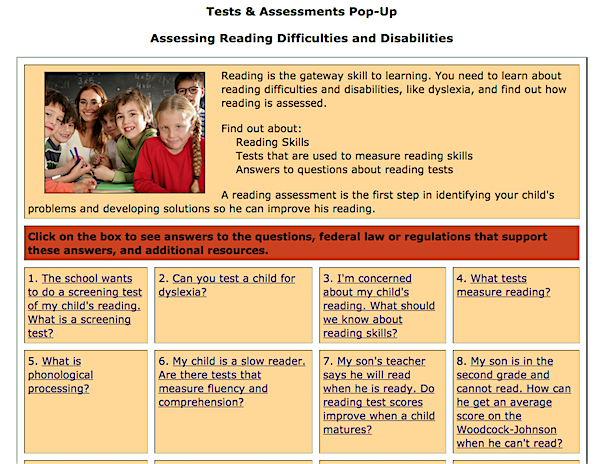 Assessing Reading Difficulties & Disabilities Pop-up! Reading is the gateway skill to learning. 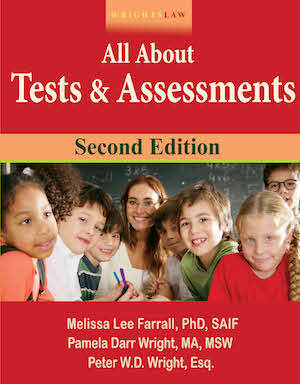 You need to learn about reading difficulties and disabilities, like dyslexia, and find out how reading is assessed. A reading assessment is the first step in identifying your child’s problems and developing solutions so he can improve his reading. 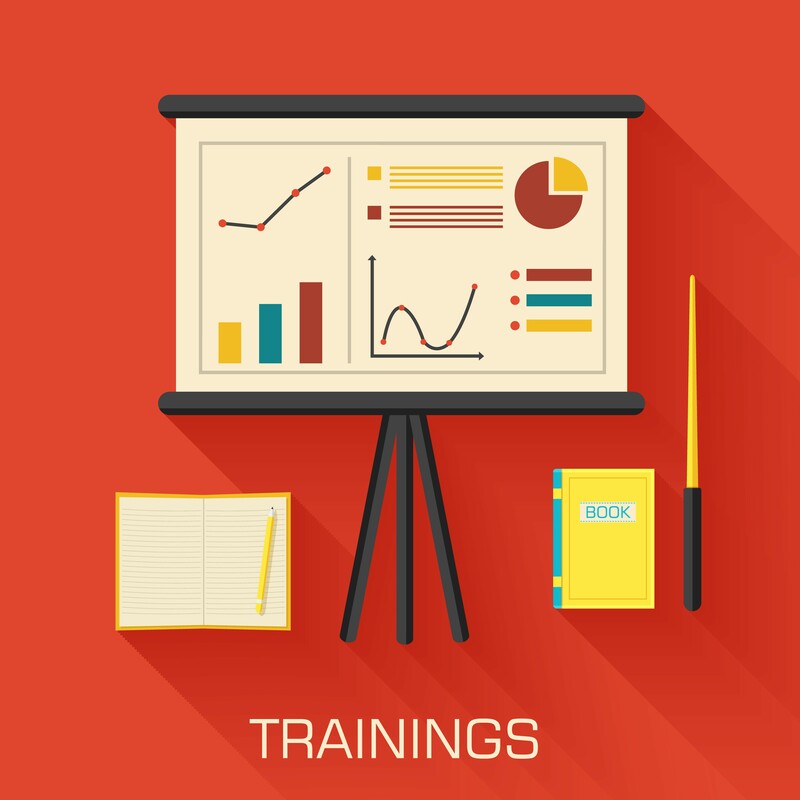 Click on the pop-up box to learn the IDEA requirements for evaluations. 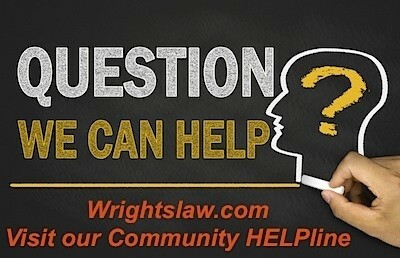 Find the answers to your questions and the federal law or regulations that support these answers. Get a list of additional resources. 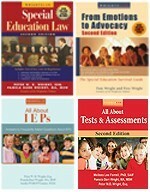 Resolving IEP Disputes. 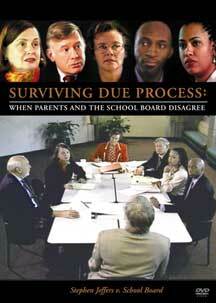 Learn strategies to resolve disagreements, steps to take if you disagree with the school, and options you have if unable to resolve disputes. 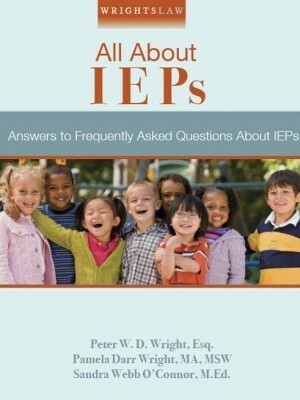 Developing Your Child’s IEP. 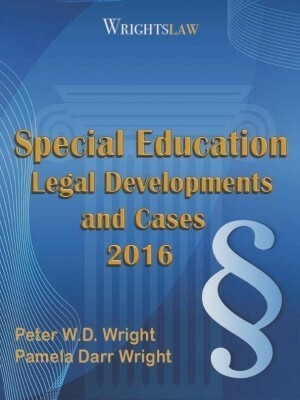 Learn about IDEA requirements, see answers to your questions, find federal law or regulations that support these answers, and a list of additional resources. Special Factors in IEPs. 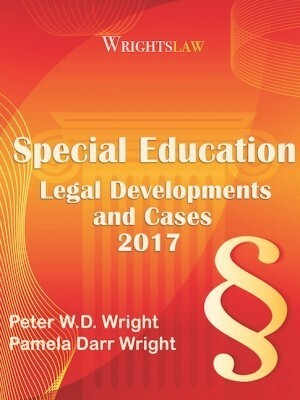 Find what special factors need to be considered by the IEP team, how the IEP must address these factors, and learn what the federal law and regulations require. IEP Checklist: Is Your Child’s IEP Individualized? What Does it Take? When you answer the questions on this IEP Checklist, you will know if your child’s IEP is individualized, as the law requires. 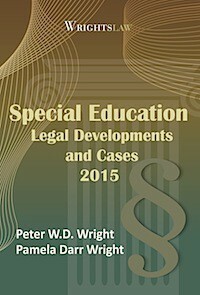 This entry was posted in Assessment and Evaluations, Reading, Tests & Assessments by Wrightslaw. Bookmark the permalink. Children with IQ’s in the 70’s typically do not qualify for special education because they do not have a discrepancy between ability and achievement or they have a flat cognitive profile. 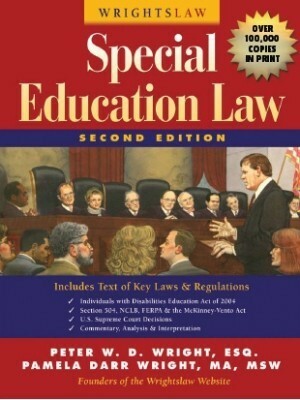 I feel this article is misleading that these children can qualify for special education. Unfortunately this is not the case everywhere. 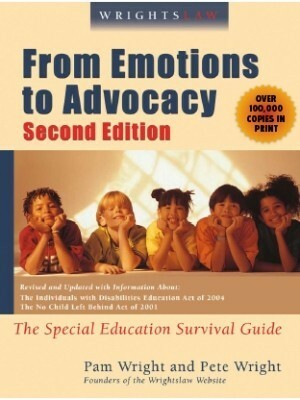 Frequently where I am, children do not get speech services if their language scores are in the 70’s and commensurate with their IQ scores in the 70’s (even though ASHA specifically states that cognitive referencing should not be used when determining eligibility). It’s frustrating when the SLP says the child does not have a language disorder and is doing the best he or she can. Are there age and topic appropriate books/articles available for older kids who read at a third grade level? The books that my son can read are very juvenile mostly about baby animals or trucks etc. He isn’t interested in the topics available. Any idea where we can find books more suited to his interests, but at a third grade level? You can always check your local library and you can also check your local bookstore for these books. Also If you search online most books give you the age range so that should help you in your search for books for your son.